4oz. 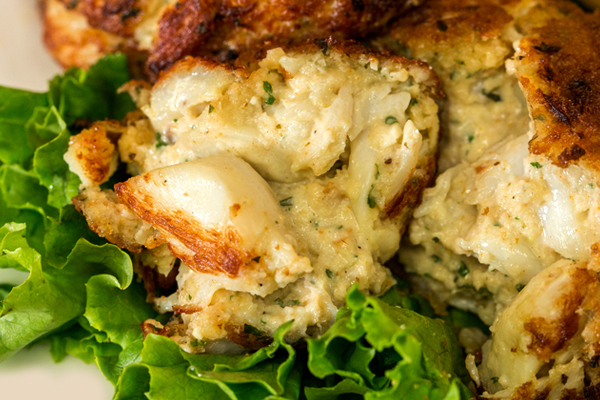 crabcake made of the finest backfin crab meat. Your choice of fried or broiled and served with crackers. 4oz. 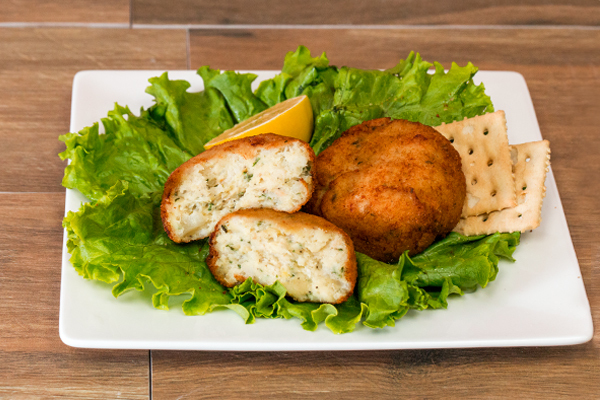 crabcake made of the finest backfin crab meat dipped in homemade fluff batter and fried until golden brown. Bite-sized, cheesy, deep fried broccoli. Served with ranch. Tender calamari rings, lightly breaded and flash fried. Served with zesty marinara. Crispy egg roll on the outside, with steak, fried onions and cheese on the inside. What’s not to love? 4 oz. 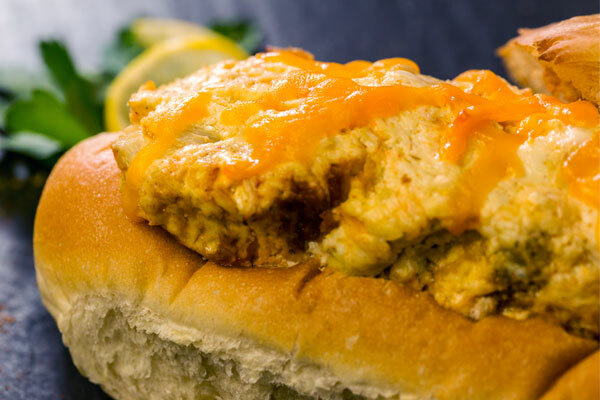 of lightly breaded clam strips are made from the finest hand-shucked clams. Served with tartar sauce. 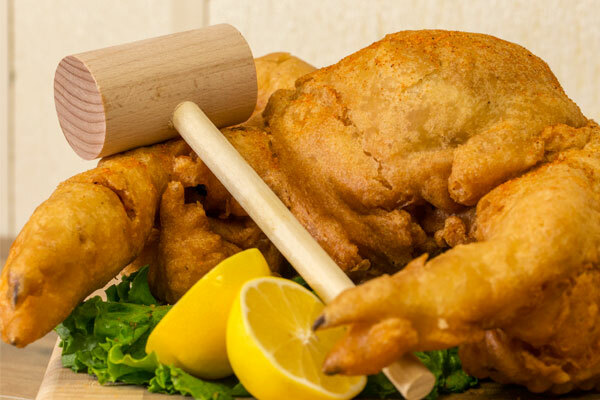 Our famous homemade recipe fried to perfection and served with crackers & mustard. 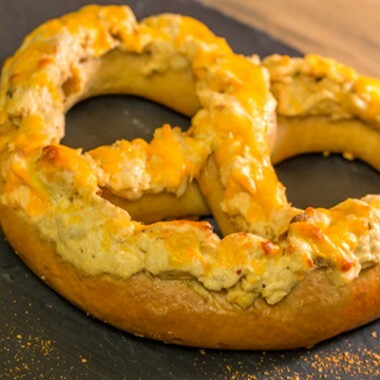 Creamy dip full of crab meat, Old Bay and other spices served in a bread boule. 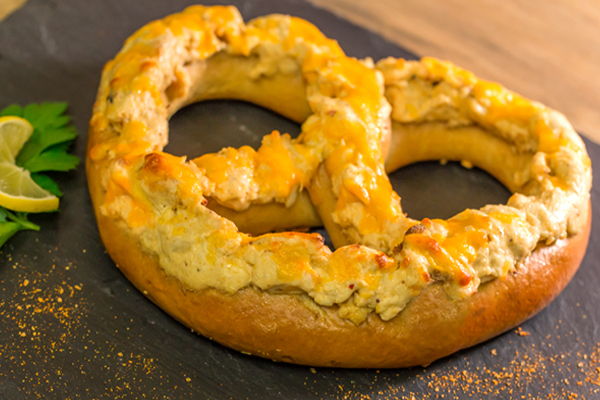 Creamy crab dip pilled on top a warm, soft pretzel and topped with melted cheddar cheese. 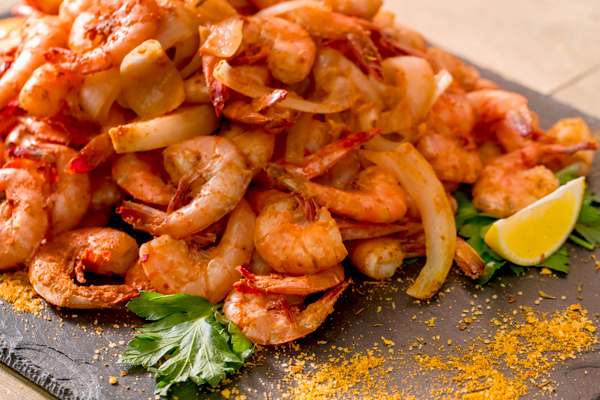 A secret family recipe that is the perfect addition to any meal. Button mushrooms breaded and fried until golden brown. Served with ranch dressing. Juicy sea scallops, lightly breaded and fried to a golden brown. Your choice of 1 lb. or 1/2 lb. 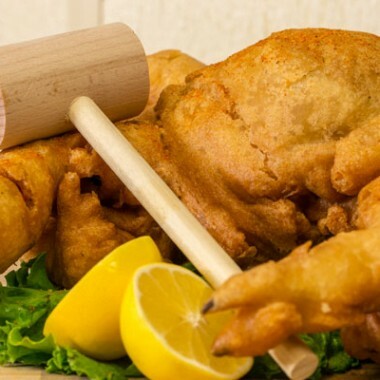 Eight (8) frog legs tossed in your choice of Honey Mustard, BBQ, Hot, Mild, Naked, Garlic, Old Bay, or Bourbon sauce. Three (3) cream cheese stuffed jalapeño peppers, lightly breaded and fried. Served with ranch dipping sauce. 5oz. 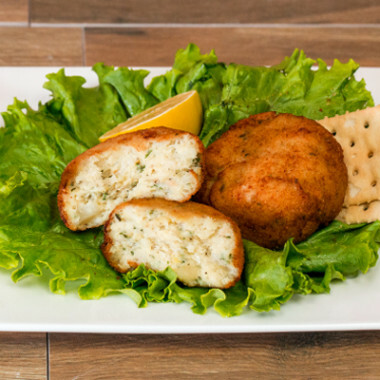 jumbo lump, Maryland style crabcake served fried or broiled. 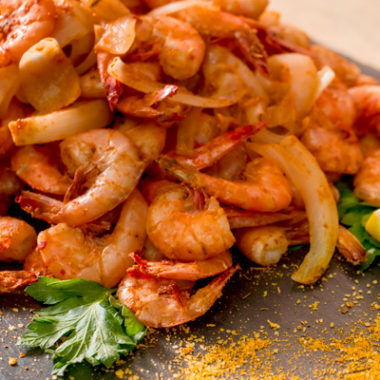 A Little Lou’s specialty that’s seasoned to perfection. 5 oz. 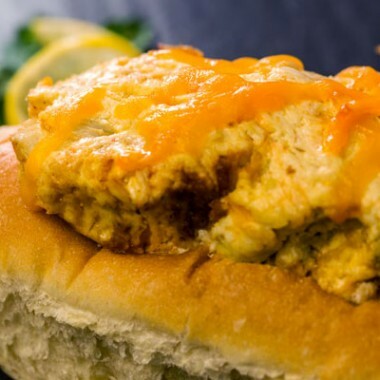 of the finest jumbo lump crabmeat dipped in homemade fluff batter and fried to a golden brown. Fresh mozzarella coated with Italian breadcrumbs and fried until golden. Served with marinara sauce. Tender salmon cake fried just like Grandma used to make. One (1) premium oyster lightly breaded and fried to a golden brown. Seasonal only. 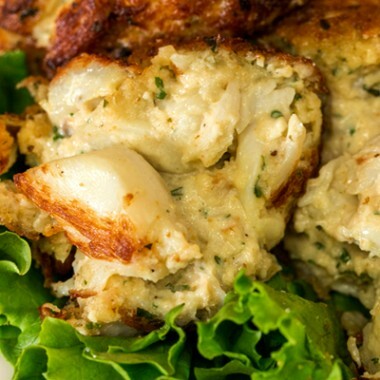 One (1) jumbo shrimp stuffed with a jumbo lump crabcake your choice of broiled or fried. 1 lb. of steamed snow crab legs served with drawn butter. ?oz. of soft crabby fluffy goodness. Two rolls (2) of flour tortillas, stuffed with ablend of Southwestern-style ingredients, then deep fried until golden brown. Served with ranch dipping sauce. 2 lbs of green shell mussels, steamed and served with drawn butter. Spicy, boneless, breaded and fried chicken wings. Ten (10) chicken wings tossed in your choice of Honey Mustard, BBQ, Hot, Mild, Naked, Garlic, Old Bay, or Bourbon sauce. Served with celery and choice of dressing.